Thanks for joining me today! I hope you've all had a wonderful long weekend. We had plenty of sunshine and summertime bliss here. It's the first really beautiful summer weather we've had, and it was simply glorious! Today I'm back to work, but before I start that, I wanted to share a little tag I created a while back along with the rest of the tags I shared a little while back, but I completely forgot to post. For this tag, I used a mix of fun flowers, stamped on watercolor paper and colored with Zig Real Brush Markers. To embellish the flowers, I used sequins and buttons, as well as a few colored leaves. For the top of tag, I used a hand-dyed ribbon, and a itty bitty die-cut tag from Papertrey Ink's Tiny Tags die. 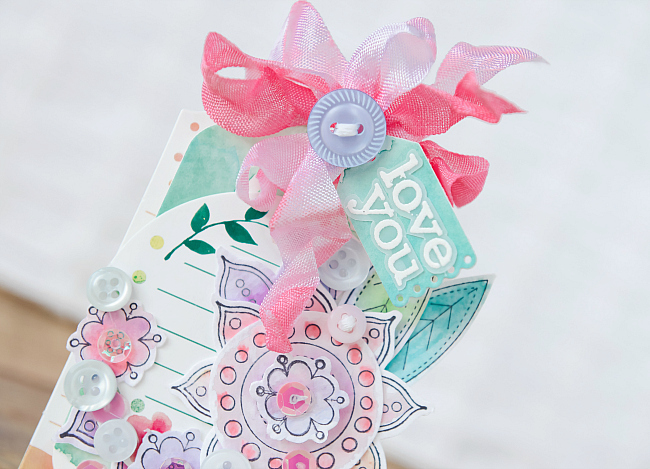 I love these tiny little tags, they are a perfect add-on to ribbon embellishments and just the perfect size for little sentiments. 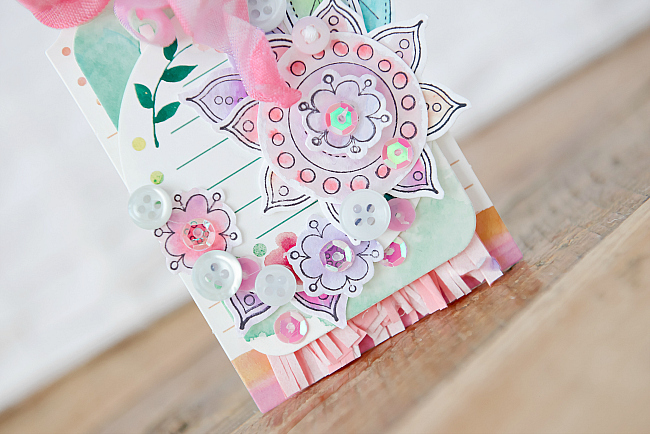 For the bottom of the tag, I used a bit of tassel trim, tucked underneath a watercolored tag. Before I go - I want to wish my friends South of the border a very Happy Fourth of July! I hope your day is getting off to a great start with many festivities and wonderful plans in the works. Enjoy your day! This is soft and lovely! What a charming project! Gorgeous card. 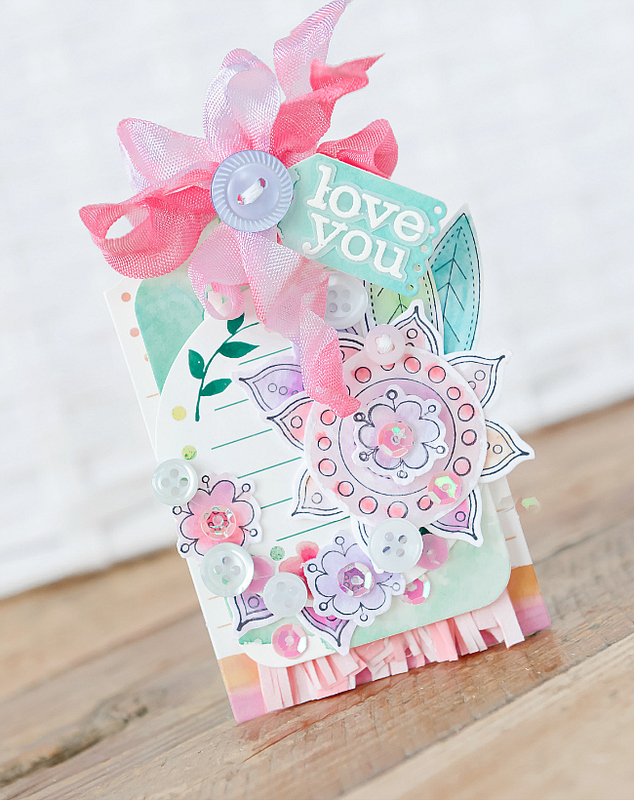 I have a similar stamp set, and I have never been able to make a card as luscious as yours. Maybe I should kind of copy you until I can get a rhythm of my own! Lovely.